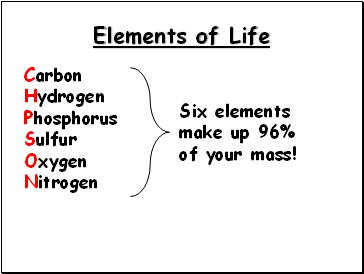 Six elements make up 96% of your mass! 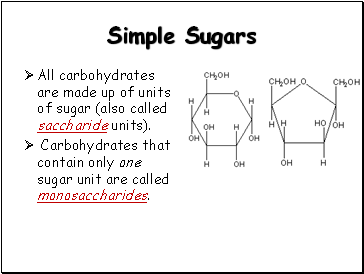 All carbohydrates are made up of units of sugar (also called saccharide units). 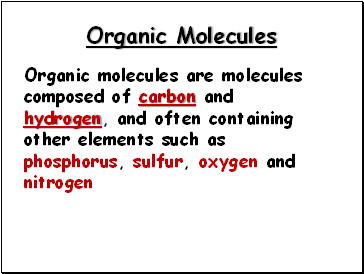 Carbohydrates that contain only one sugar unit are called monosaccharides. 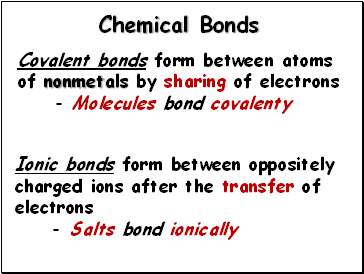 Disaccharides have two sugar units bonded together. 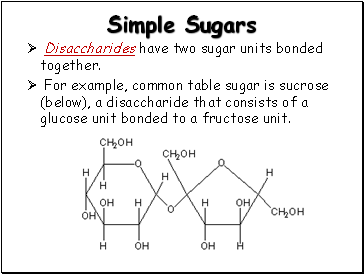 For example, common table sugar is sucrose (below), a disaccharide that consists of a glucose unit bonded to a fructose unit. 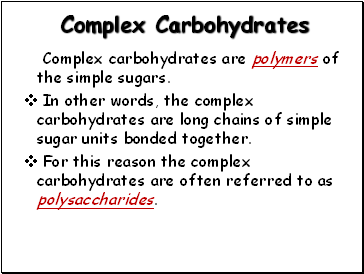 Complex carbohydrates are polymers of the simple sugars. 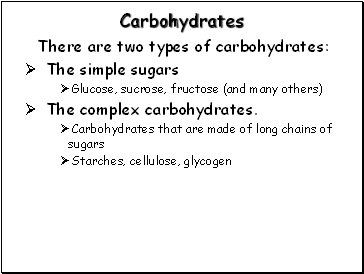 In other words, the complex carbohydrates are long chains of simple sugar units bonded together. For this reason the complex carbohydrates are often referred to as polysaccharides. Starch (below) is a polymer of the monosaccharide glucose (n is the number of repeating glucose units and ranges in the 1,000's). 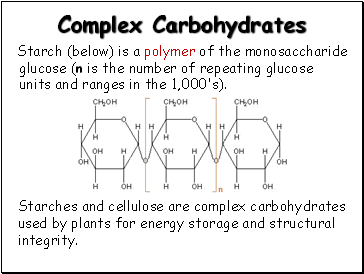 Starches and cellulose are complex carbohydrates used by plants for energy storage and structural integrity. 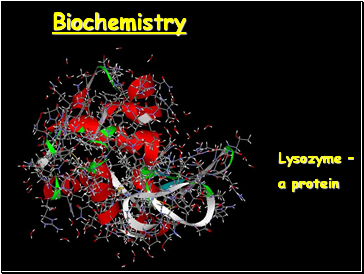 Glycogen, another polymer of glucose, is a polysaccharide used by animals to store energy. 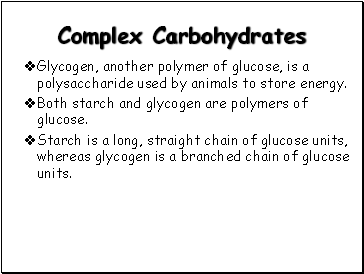 Both starch and glycogen are polymers of glucose.